One word, "Monstrous" best describes Heavy Duty Fruity. A huge producer with giant colas that will make any "bud waver" happy. Absolutely the best indoor producer we have seen yet. Ideal for plantlet method 20-30 p.s.m. But beware, we don't call it Heavy Duty Fruity for nothing, this plant smells strong. So air cleaners or ozone generators are suggested. H.D.F. merges big production with quality and strength. Who says commercial yielding plants have to be low in quality? Yield: 400gr - 600gr p.s.m. Welcome to the Kushage™! With two proven parents this combo of Cali super plants just gets better. The O.G. Kush we used in this cross has a following of biblical proportions; the S.A.G.E.™, on the other hand, delivers the essential Sativa influence to lift up the sometimes overwhelming Kush effect. With a longer flowering than the O.G. you can expect bigger yields and more elegantly shaped plants. The sandalwood flavor of S.A.G.E.™ and the crystal clear high add an extra boost to the almost addictive buzz of the O.G. Kush. MK-Ultra™ is named after the famous L.S.D. experiments in the 50's, this mostly Indica hybrid will truly hypnotize you. A cross of the legendary G-13 and LA's finest O.G. Kush, that produces very tight resin coated buds, with addictive qualities that cannot be underestimated. A piney flavor that lasts and lasts and a hypnotic high make MK-Ultra™ the ultimate head stash! 1st place winner at the 2003 Cannabis Cup and 2nd place in 2004 and many more victories since. Do you like flavor? Do you like strength? How about yield? Then you will love S.A.G.E.™'n Sour. Bringing some West Coast haze flavor to an East Coast legend, Sour Diesel, is a win-win situation for you. S.A.G.E.™ has been T.H.Seeds™ number 1 plant for 15 years and we are sure that S.A.G.E.™'n Sour will be one of yours. 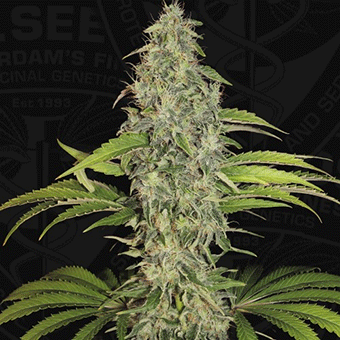 S.A.G.E.™'n Sour is a great plant for deep-water culture, as she can grow quite massive. The finished product is of the highest caliber and will leave you wanting more. T.H.Seeds™ Akorn (aka Snowbud because of its frosty buds) is a mostly Indica Cannabis strain from the North Western USA originally brought over in 1995. 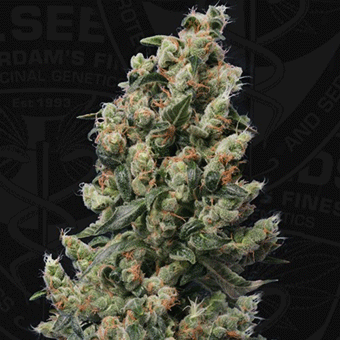 The name Akorn was given to the plant by the people who grew it because of its hard finished structure with tight colas the size of "baby arms" making it a great producer. The people who smoke this type call it Snowbud because of its incredible resin production. Whatever you want to call this plant, growers and smokers will simply call it their favourite. Bubblegum was T.H.Seeds™ first contribution to the seed world in 1993. Over the last decades it has proven, through numerous awards and world wide fame, that Bubblegum is here to stay. We successfully inbred and stabilised this plant for it's most desirable characteristics, it's fruity smell, thick lingering flavor and short soldier like stature. Bubblegum breeds true, and has been used by many seed companies to produce award winning hybrids, and will make a great cornerstone for your breeding program. Yield: 450gr - 550gr p.s.m. The legendary T.H.Seeds™ Chocolate Chunk will make every trip to the grown room feel like you found the golden ticket. With a definitive Kush bottom this pure Indica will melt in your mouth and stick to your hands. Thick, deep-green leaves and fat dense buds, Chocolate Chunk is quite easy to grow due to its quick flowering time and “single cola” growth pattern. Grow this out and you will feel like Willy Wonka and the Chocolate Chunk factory. Smoke this and you will be flying high in the Chocolate Chunk Wonkavator. Citron Givré (Lemon Sorbet) is the T.H.Seeds™ selection of the infamous Birthday Cake strain out of Northern California. Aromas of lemon fuel give way to sweet, creamy and cake-like notes. 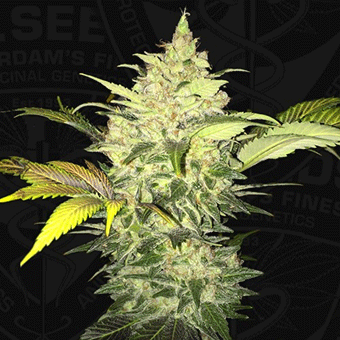 A powerful hybrid that produces beautiful lime green buds with loads of swollen calyxes. A real treat for flower smokers and hash makers alike. In the words of our friend, Citron Givré is “très bien”. Critical HOG™ is a commercial grower's dream. Critical HOG™ is very easy to grow with a huge yield. The Tennessee HOG™ (via San Diego) High Times Indica Cannabis Cup winner meets the Basque Country's Critical Mass (numerous Spanish Cannabis Competitions Winner). Due to the huge buds make sure the room is well ventilated and if grown outdoors keep out of the heavy late season rain falls. French Cookies is a gem of a Cookie by T.H.Seeds™ with all the goodness the Cookie plant can give. French Cookies brings crystal white resin with light orange hairs, a dense T.H.Seeds™ Cookies treat! After traveling to Cali doing some testing we found a seed in a bag of the Legendary Platinum Cookies. Back in the T.H.Seeds™ lab we grew it out and found a gem of a Cookie. The color combination is hard to describe as it is a uniquely beautiful plant. The leaf color goes from rich dark green to deep purple to almost black. While the buds are a combination of crystal white resin with light orange hairs. The final product is a dense potent Cookies treat. For a Cookies variety the yield is really good. She stretches during the first three weeks then stops and starts to produce the most unique and colorful flowers. The Cookies fragrance starts coming out little by little with a touch of grape. The high provides you with happy feelings and creative thinking. Always good for working on some art. T.H.Seeds™ proudly brings you the incredible French Macaron, Gelato 33 x French Cookies, named after the popular Macaron from France, a delicate gourmet Cookie treat full of flavor that will literally melt in your mouth. The structure of the French Macaron flower is a beautiful marriage of Gelato 33 x French Cookies, expressing some of the best traits from each parent. French Macaron's tightly packed calyxes erupt with so many trichomes, it can be hard to see the beautiful, tight, dark purple bud underneath. Aromas of gas, musk and heavy cream come together reminiscent of a sweet, creamy dessert. Until now French Macaron's first and only appearance has been at the 2017 Expo Grow in Irún, immediately winning in the Indica category. Now finally available for everyone who is eager to discover this next level crystal covered Cookies powerhouse. Yield: 500gr - 600gr p.s.m. MK-Ultra™ x Bubblegum from T.H.Seeds™ is a clash of titans! The Legendary Original Bubblegum crossed with the mind blowing MK-Ultra™. This is a powerful medicinal strain with high THC and CBD. Perfect compact short plant with high productive, stinky, sticky buds for your body and mind! MOB™ aka Mother of Berries. An East coast Legend brought to T.H.Seeds™ Amsterdam by our Boston friend. MOB™ is an incredibly fast, short and fat plant. It looks different than what you are used to, some purple and crazy pink color and it's full of terpenes. This 100% Indica gives a very unique flavor, like nothing you've ever smelled or tasted before. The first time we smoked it in Amsterdam we had a great time but kept forgetting our keys so we named it “stupid bud”- be warned- MOB™ is strong medicine! The first entry ever by MOB™ was at the prestigious Expo Grow Cannabis Cup in Irún 2015 - it won 2nd place in Indica category. Roof 95 from T.H.Seeds™ is a very short, fat leafed plant full of resin and heavy flavor and punch. "The Roof, the Roof, the Roof 95 is Fire!" Back in 1995, on the roof of the C.I.A (Cannabis In Amsterdam) a seed was born, not to be rediscovered for 20 years. Labeled with a Ying/Yang this plant outshined the others and finished fully in the short brutal Dutch season. Grown in a former case of the Picasso coffee shop that we boxed in and filled with soil, this plant was a true work of art. These seeds came from the original S.A.G.E.™ project and were part of the "Afghanica” side of S.A.G.E.™. This one plant produced a small batch of seeds that were saved throughout the years with the Ying/Yang guiding the memory banks. Further selected by the T.H.Seeds™ farmer to bring to the masses an almost lost gem from the bit too distant past. Strawberry Glue by T.H.Seeds™ is an amazing sweet medicine with a real body effect while at the same time it relaxes the mind. We started by making a selection from a gifted private stock of Strawbanana Cream from Karma Genetics. Once we found the most perfect male with all the characteristics we desired we chose to cross it with our Goji Glue from our master breeder. This gives you some amazing lineage-yielding a healthy and sweet strawberry creamy taste coming from the male and adding to it the potency and high resin producer mix from the Goji Glue mother. Strawberry Glue is an easy plant to grow and all the grow techniques can be used for this strain: scrog, sog, soil, hydro and coco. The name S.A.G.E.™ says it all! Sativa Afghani Genetic Equilibrium. A well balanced Haze crossed with a robust Indica that produces a power-packed plant with over 20 % THC. Fast becoming a legend, S.A.G.E.™ took 2nd place in the blind test of the 2001 High Times Cannabis Cup also the hash made out of this plant won 1st place in 2000, both of these victories were based on overall strength and quality. High THC and low CBD make this plant a perfect head stash variety. Spicy sandalwood flavor combined with a long lasting and uplifting high make this the plant for those who must have the best. Longer flowering time is rewarded with large buds that will seem to double in size in the last few weeks. S.A.G.E.™ has been a cornerstone of the T.H.Seeds™ breeding program for almost 25 years. Yield: 450gr - 500gr p.s.m. T.H.Seeds™ brings you Underdawg™ Feminized, from the Original Chemdawg family. The perfect strain for the backgarden grower. Along side the OG Kush and the Sour D, UnderDawg™ OG has big frosty, Kushy buds. It is moderately easy to grow and is a perfect strain to get you some nice buds for the Winter months. If you let it veg. out in big pots or the ground for 8 - 9 weeks you should get 1+ kg per plant (depending on the kind of Summer). UnderDawg™ Feminized is also perfect for the indoor grower who just wants some clean kushy nugs free from the troubles that clones can bring to your room.